Snowden, directed by US filmmaker Oliver Stone, has captivated the Cuban people during the 38th International Festival of New Latin American Cinema underway in Havana. Hundreds of people attended the first showing of the film at the Yara Theater in Havana and later expressed satisfaction over the movie. Oliver Stone currently in Havana said last Friday that his film can define itself as a serious exercise of journalism and cinema for its attachment to reality. We are presenting the facts, no one knows the inside story of the National Security Council nor doors are open to dialog for those that understand the importance of Snowden’s denunciations; this is the first time that someone from within has revealed the details of what is really happening, he said. 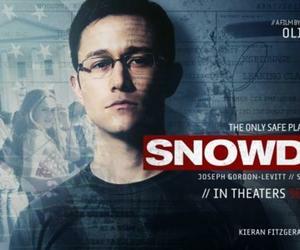 Edward Snowden, interpreted by US actor Joseph Gordon-Levitt, became well known after revealing the first information online, however, there was little known about his life and how the events came about, that is why Stone’s recent work is so important. The filmmaker has reflected other important events in US history like the Vietnam War (Platoon), John F. Kennedy’s assassination (JFK: Open Case), Watergate Scandal (Nixon) and September 11th, 2001 (World Trade Center). Oliver Stone visited Cuba in 2002 and 2003 when he worked on his documentaries Comandante (2003) and Looking for Fidel (2004) both on the life of the leader of the Revolution.